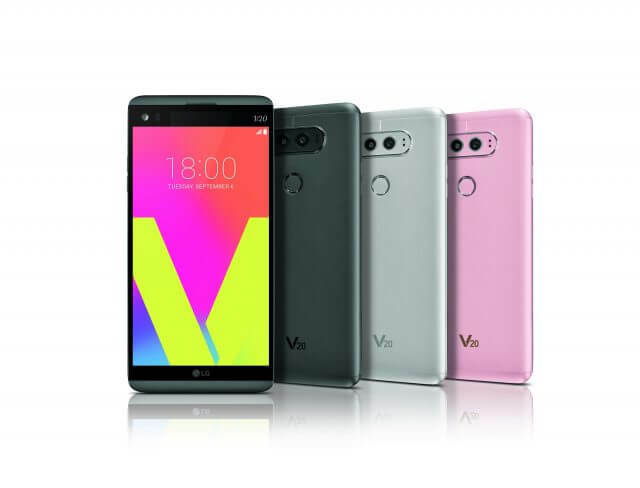 Last night the all new LG V20 was announced and this flagship device has a some serious specs for those looking for a high end, high performing device. The first phone to run Android Nougat will be hitting the market later this month and will be carried by a few carriers here in the US as well as being available unlocked. The 5.7″ device is powered by the Snapdragon 820 processor, has 4GB of RAM, 64GB of storage, a 16MP main shooter and a removable battery. And that’s just the tip of the iceberg. Snapdragon 820 with two cores running at 2.15Ghz and two running at 1.6GHz. All of this comes in a package that will be $799.99 when it hits the US later this month. Carriers like AT&T and T-Mobile are expected to carry the device as well so you will likely be able to take advantage of payment plans from them once it is available.